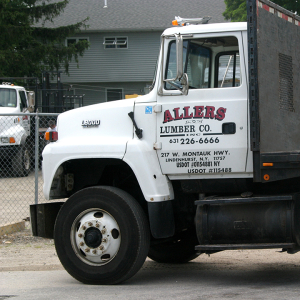 Allers Lumber Co. Inc provides you with on-site delivery right to where you need them. We have our trucks out daily all over Long Island delivering any product you need from plywood to your custom millwork order. We make it our job to relieve the pressure of damaging your materials upon your pickup during transportation. We also help you save time and gas to allow you better concentration of getting your project at hand completed. Here at Aller’s lumber our personal delivery team handles each order with caution. We are well equipped with our numerous trucks from the Boom Truck to the Piggyback trucks to make each delivery successful and efficient. Time is Money! If you have an order ready to go and a delivery schedule that needs to be met, save time and fax to Allers Lumber and we will get your order going in a snap. Why waste time calling when you can fax your order to out team of pro’s and let them do the work for you. We will gather your order, and prepare for pickup or delivery and call you to confirm. So when you need an order in a hurry, why call? Just fax it over. Do you need help finding a special product or item? 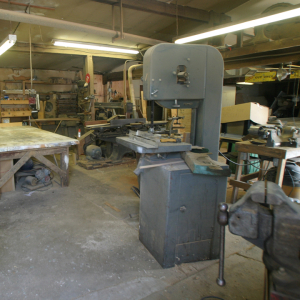 Allers Lumber Company can help you find it in a hurry and at the right price. Whatever you need, we can find and accommodate our contractors needs as well as their customers special requests. At Allers, our sterling reputation and dedication to customer service, our team of professionals will do what it takes to get you special request, on-time and on-budget. So don’t hesitate to ask us for help. We go the extra mile to satisfy any request. 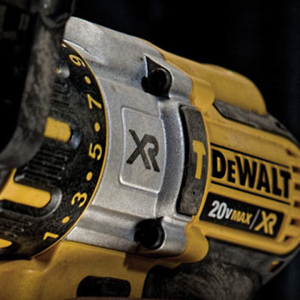 Allers Lumber is an Official Factory Service Drop Off Center for Dewalt, Bostich and Porter Cable.